Our local "Castle" is a charming and elegant place to hold a magnificent wedding. 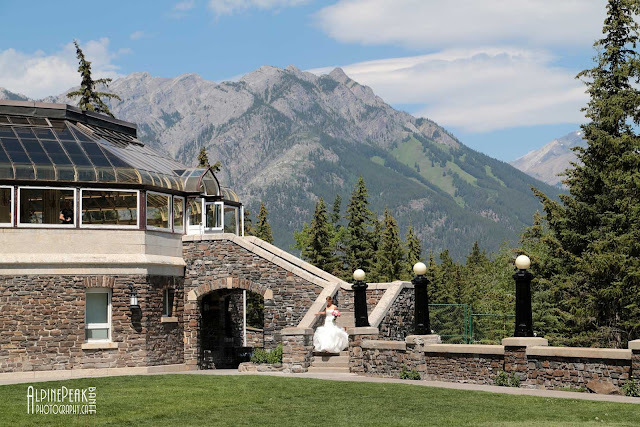 Here, we captured the bride as she makes her way down the stairs from the conservatory, to the wedding ceremony on the terrace. In the background you can see the ski hill - Mount Norquay!